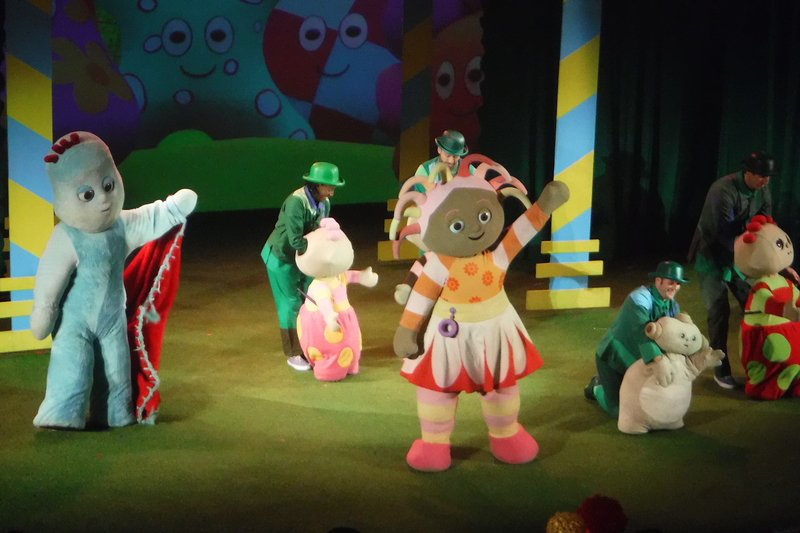 A couple of weeks ago we went to watch In The Night Garden Live at the Trafford Centre. We love In the Night Garden in our house and it has been something Lucas has watched for months before going to bed. He has the musical Ninky Nonk, Igglepiggle, Upsy Daisy and Makka Pakka toys so I was very excited to see his reaction when he saw them all live. 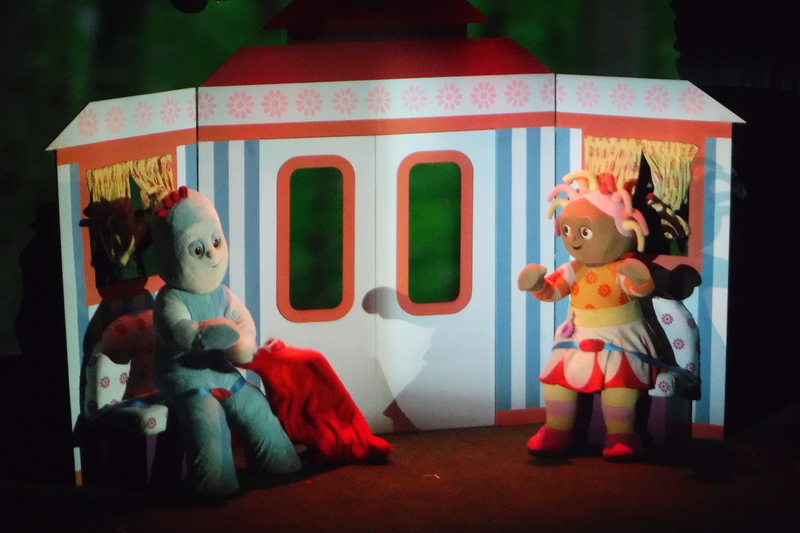 In the Night Garden Live* took place in its own family-friendly Showdome. There are three domes altogether, which are 65m long, 35m wide and 14m high! The largest dome hosts the theatre, with its beautiful costumed characters, puppets, breathtaking projections and spacious seating stand. The other two domes include everything you need for a family friendly visit, including buggy parking, microwaves, toilets with toddler steps and inserts and baby changing facilities. The facilities were immaculate and the stewards were helpful and friendly. 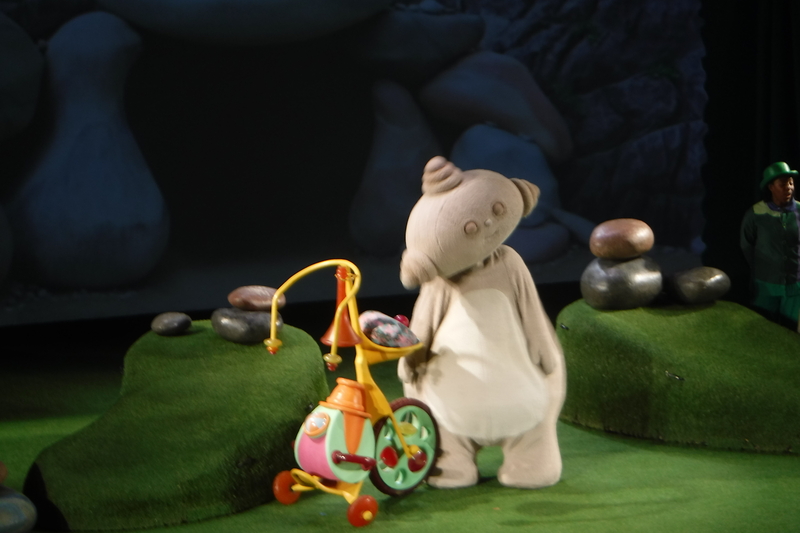 There were two different shows to choose from, one where Igglepiggle loses his blanket and one where Makka Pakka washes everyones face. We booked the one where Igglepiggle lost his blanket. 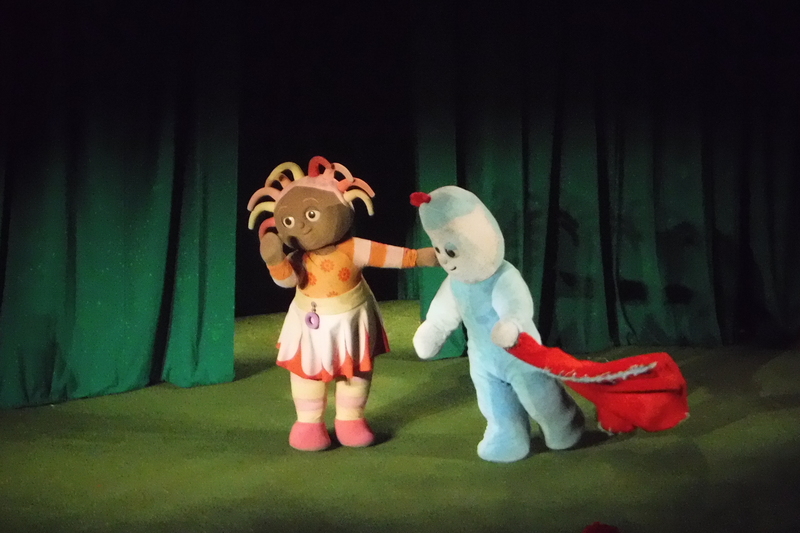 The show lasted just under an hour and all of Igglepiggle’s friends helped him find his blanket. Lucas was mesmerised by the show for about 5 minutes and then wanted to wander round, look what other people were up to or search his bag! Thankfully, the atmosphere was very relaxed and I didn’t feel like I needed to take him out. It also helped that we chose to sit on the top row so he could see what everyone was doing without walking away from us. There were some other children having a wander but it didn’t seem to disturb anyone else. 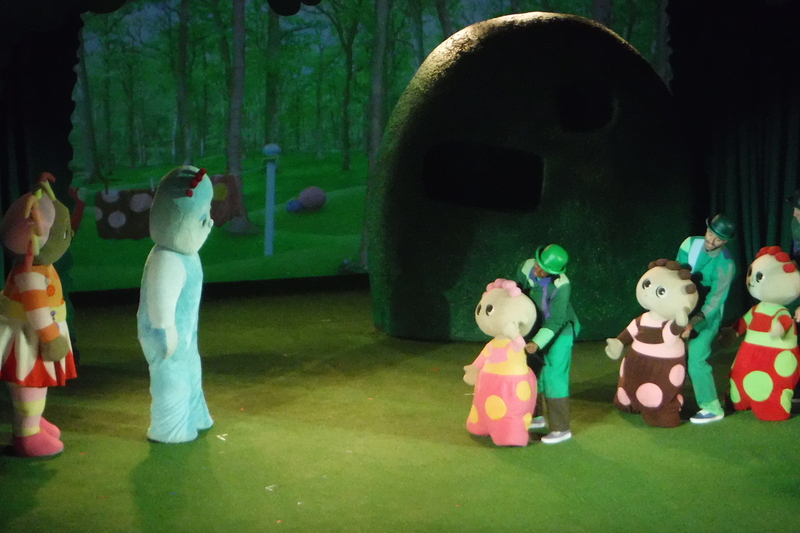 All the children seemed to love the show, their animated faces lighting up when the characters came onto stage. I didn’t even realise there were live shows – how fab. It is good that it was relaxed as I need that with my youngest especially. My kids would love to watch this. They really like the show on CBeebies. My little sister loves In The Night Garden and she would be even more excited if she saw it live! That looks amazing. I remember taking Ed’s niece to see Angelina Ballerina, it was a delight to watch her face through the performance.